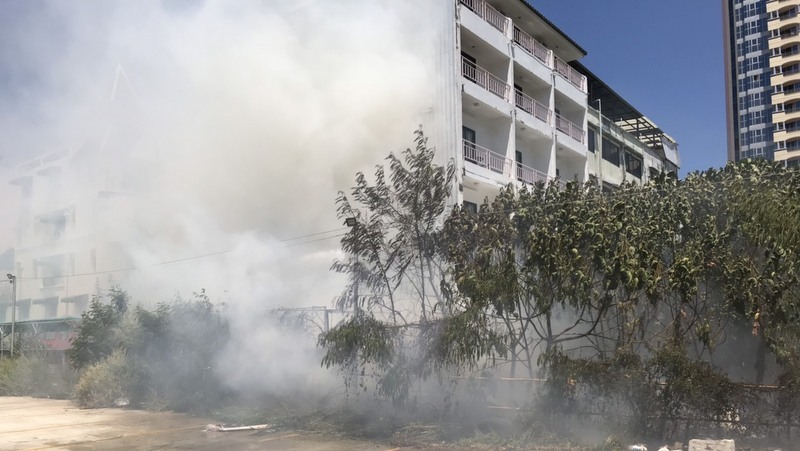 PHUKET: A pile of dumped garbage catching fire near a resort in the heart of Patong has prompted Patong Mayor Chalermluck Kepsub to issue a stern warning that any persons caught dumping garbage will face a fine of up to B10,000. In order to help catch the culprits, Patong Municipality will install 37 CCTV cameras along the beach road, Mayor Chalermluck explained. “Firemen took about 20 minutes to put out the fire. 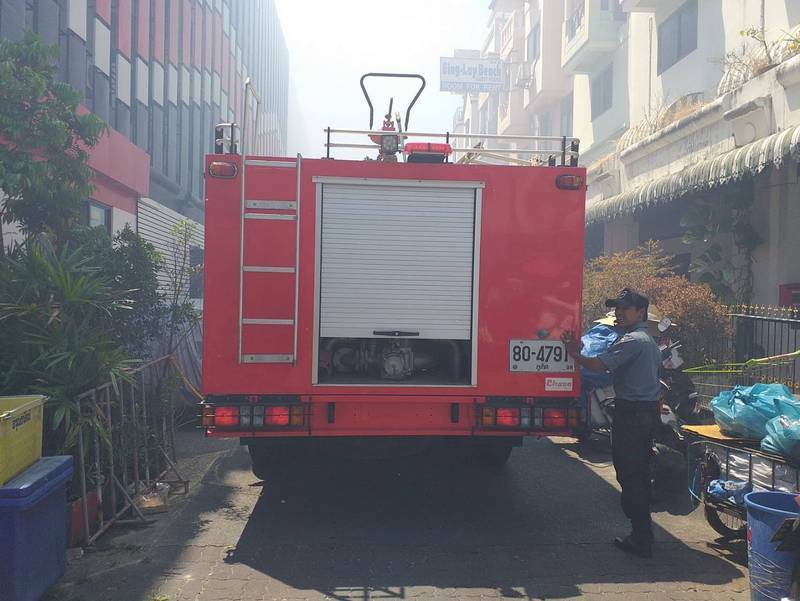 It was stopped before it damaged any buildings nearby,” Patong Mayor Chalermluck confirmed. “I believe the rubbish was dumped by people from nearby houses and hotels. 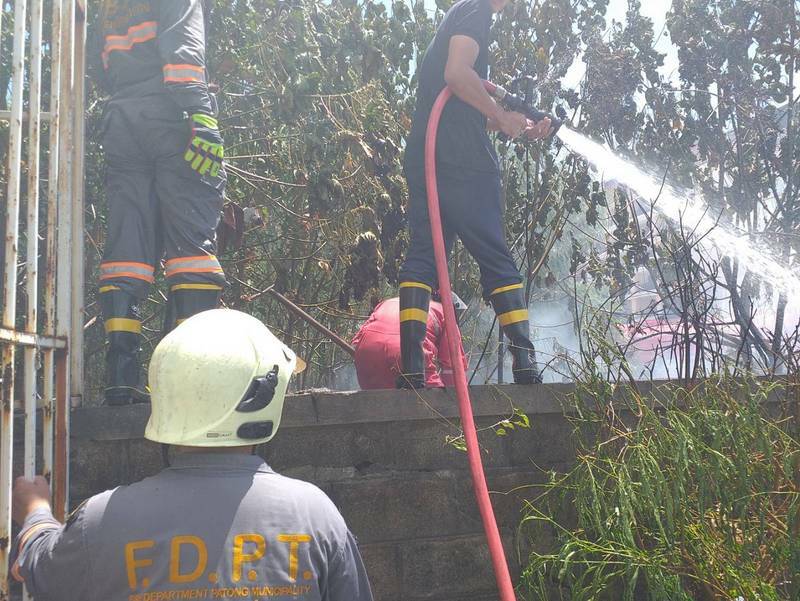 It is an empty space, and municipal officials didn’t notice the garbage until the fire started,” she said. 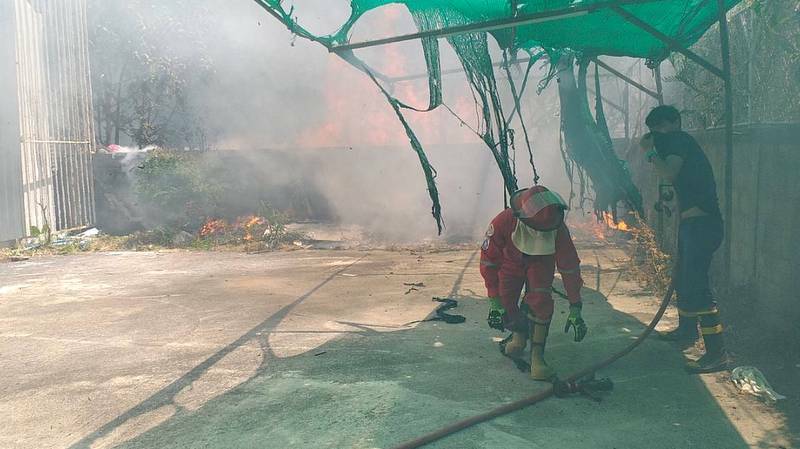 “I will order municipal officials to check areas throughout Patong to make sure no more fires like this start,” Mayor Chalermluck assured. Mayor Chalermluck expressed her frustration with people dumping garbage in the resort town. 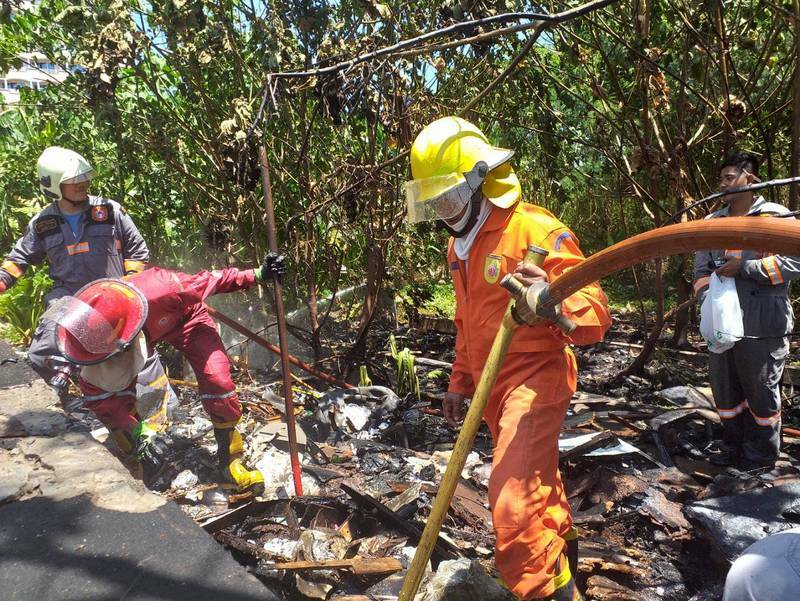 “I have repeated to people to leave their garbage at the right place and the right time so that council workers can take it away and be recycled or destroyed at the incinerator (in Saphan Hin). “But some people still don’t follow the rules. They dump their trash as they want. We have tried hard with this, but failed,” she said. 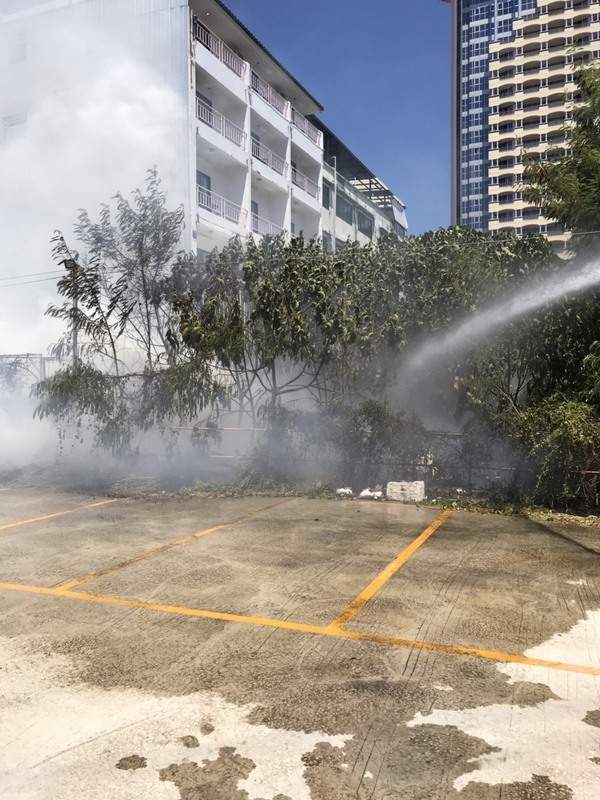 In response, Mayor Chalermluck vowed to ramp up action against people caught dumping garbage in public areas, especially along the Patong beachfront. 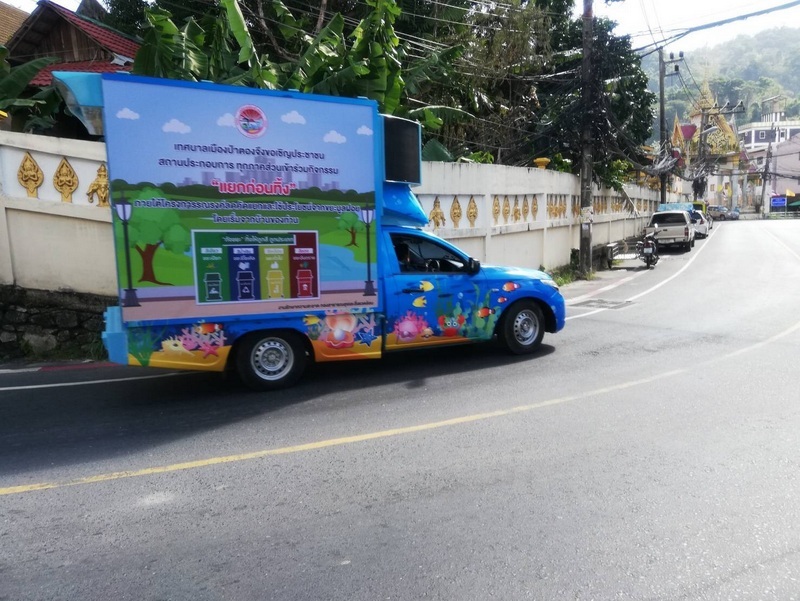 “Patong Municipality will install 37 CCTV cameras on 12 power poles along the beachfront from Bangla Rd to Coral Beach Bridge (at the southern end of Patong),” Mayor Chalermluck said. 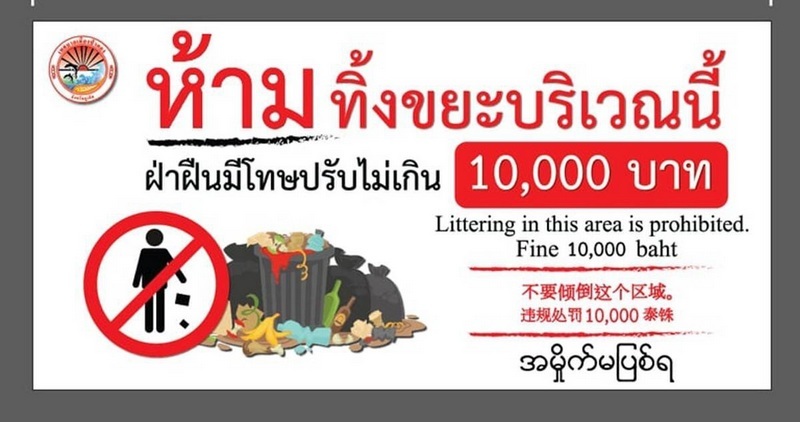 “Any persons caught littering along the Patong beachfront will be fined B1,000,” she said. “But any persons caught dumping garbage will be fined the maximum B10,000,” she warned. Mayor Chalermluck explained that she was aware that many tourists litter along the beachfront, but her focus is on local people and businesses. “If the CCTV cameras capture images of tourists littering, there is little we can do. By the time we see it on the CCTV the tourists would have returned to their country. Regardless, most trash from tourists is just a bottle of water or food scraps or packaging, which they normally throw in the trash. “We are not worried about tourists, but we are worried about local residents in Patong,” she added. Mayor Chalermluck also pointed out that Patong Municipality has a schedule for people to place their garbage on the street so it can be collected: from 6pm to 10pm in residential areas; after 10pm in business areas such as along Rat-U-Thit 200 Pi Rd; and from 2am to 5am in entertainment areas such as Bangla Rd. “We will keep making our public announcements to local residents and tourists about when to place trash on the street for collection and about littering, because new tourists arrive all the time and they need to know the rules,” she said. Mayor Chalermluck urged people to use the special mobile phone app called “Traffy Fondue” (see here) to report any trash dumping. “If you see anyone dumping garbage, you can take a photo and send it to our staff via the app. “The staff will know where the trash is located because there is a GPS system,” Mayor Chalermluck explained. “Traffy Fondue” is available for download on Google Play and Apple Store. The application is avaliable in Thai language only. Didn't notice or more likely turned a blind eye, heck if they made an effort putting CCTV at known spots they could make a fortune catching all the low life dumpers in action all over the island, seems like a national past time, place is one big rubbish tip. Well, environment is a important issue these days. Perhaps the Mayors of beach towns should employ more environment officers, authorise them to hand out/collect 1000 thb fines for polluting. And at the large illegal garbage dumping places there is always evidence to find who actually did dumb  ( hotels, businesses, etc.). For that I find 10,000 thb fine a small amount. Just 277 Euro's only!